TechnicBRICKs: TBs TechPoll 03 - After the 1st six months... "Which direction should TBs take?" TBs TechPoll 03 - After the 1st six months... "Which direction should TBs take?" TBs celebrates its first 6 months online, today! Which direction should it take? I thought it was time, to ask your opinion and read what you have to write. So decided to create a new poll, where you can choose the type of posts you most like to read at TBs . Focus more on news about TECHNIC and short posts. Focus on building techniques, examples (How to...) and extensive comments. Focus more on other's MOCs. Focus on review of new sets and parts. A bit of everything above. 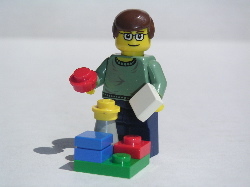 Include also topics related with other LEGO themes. You are allowed to make more than one choice, if you fell it better expresses your opinion. If you fell this were not the right questions to make, your have any other opinion/comment (e.g. about: content, topics, ideas, blog graphical look & fell, etc...), please fell free to leave it as a comment to this post. Your opinion is much appreciated! The variety is what makes TechnicBRICKS great. You are a Technic fan, so it you write about whatever interests you on a given day, chances are it interests the rest of us too! I'd love to see you track down skilled builders and get into the details of their work. For example the "crowkillers" in brickshelf are incredibly skilled but, it's difficult to tell what's going on from images alone. There are plenty more. So far you're doing a great job and a regular stop on my daily browsing. Hi Eric (Blakbird), thanks for the kind words and incentive. I also try to get much information about builders as I manage to find, as sen in some examples. However most of the times, is not easy if not almost impossible, unless I get the builder to contact me (what also happened). TB is very nice the way it is. But I'd prefer to keep other themes out of this blog. Not that I don't like them. I'm a castlehead and started exploring the space theme recently. But I like this blog because it's focused on something particular. We already have sources for other themes anyway.. This is a bit late, but my suggestion would be "A bit of everything above." You guys are basically the only Technic blog on the 'net, and I regularly refer readers to you when they ask if there's a Technic blog they can read. Therefore, I'm sure that you can grow your readership over the long term by doing more of the things you listed. One request that's not listed: Can you publish full articles in your feed, please? I did a reader poll about this myself some time back, and nearly all of the respondents wanted the complete articles in the feed. I also like it the way it is...your posts are a good length and you post about anything TECHNIC and TECHNIC related. I really enjoy TBs. You are doing a fantastic job and a big thank you to you! I agree you need to track down some builders. I'd be really interested to find out more about Crowkillers as well as some other builders. Those cars he builds using only studless technic parts are unreal. I can't believe he sells his models, but they keep getting better and better.